Prime Music is a benefit of subscribing to Amazon Prime. Here's everything you need to know including how much it costs, how to listen via the Amazon Music app, how it's different from Amazon Music Unlimited and more. So what’s the difference? As the Prime part suggests, the first tier is included with an Amazon Prime membership. It isn’t free: it’s one of the benefits of the Prime subscription which also includes Amazon Video and one-day delivery. Like other streaming services, Amazon’s lets you listen to music on demand. That can be on your phone, but it can also be on your computer or via an Amazon Echo smart speaker. The latter is one of the most convenient ways to access Prime Music since you can simply ask Alexa to play a song, album or playlist. You have access to 2 million songs, which sounds a lot, but it’s a fraction of the 40 million songs you get with Amazon Music Unlimited. A subscription to Music Unlimited isn’t tied in with a Prime membership: you can have Music Unlimited without any of Amazon’s other services. Confusingly, you can upgrade Prime Music Unlimited to Music Unlimited for £7.99 / US$7.99 per month instead of the usual £9.99 / US$9.99 per month. Even if you use Amazon Prime Music via an Amazon Echo, it’s worth downloading the Amazon Music app. This is the same app you’d get if you subscribe to Amazon Music Unlimited. This is just like Spotify’s app, and lets you search for songs, listen to them on demand and download them to your device so you can listen without an internet connection. You'll find on Amazon's website a full list of supported devices. One of the tabs in the app is My Music. This houses the music you’ve bought from Amazon, and can include CDs you’ve purchased because of Amazon’s ‘autorip’ feature that gives you access to the MP3 versions. My Music can also contain songs and albums you uploaded to Amazon’s Music Storage service. This is shutting down for good in January 2019, so that music won’t be available in the app from then on. How much does Amazon Prime Music cost? 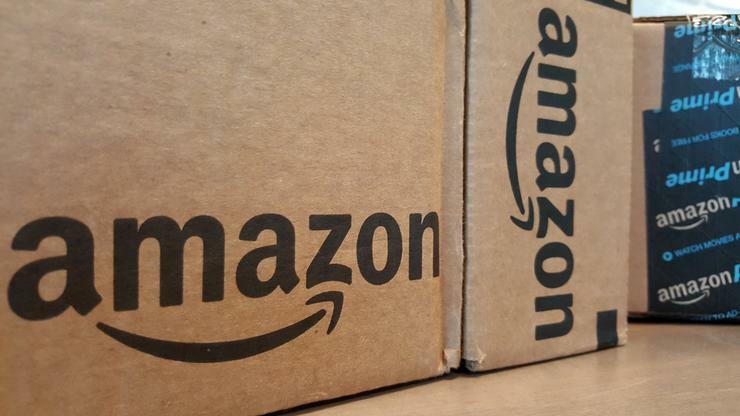 You can sign up for a free trial of Amazon Prime here. For an in-depth comparison, read Prime Music vs Amazon Music Unlimited.